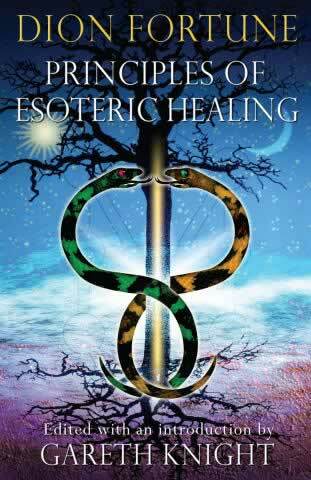 A fascinating approach to esoteric healing, taking into account the whole human being. One of the early ambitions of Dion Fortune, along with her husband Dr Thomas Penry Evans, was to found a clinic devoted to esoteric medicine, along the lines that she had fictionally described in her series of short stories The Secrets of Dr. Taverner. The original Dr. Taverner was her first occult teacher Dr. Theodore Moriarty, about whom she later wrote: if there had been no Dr. Taverner there would have been no Dion Fortune! Shortly after their marriage in 1927 she and Dr. Evans began to receive a series of inner communications from a contact whom they referred to as the Master of Medicine. Owing to the pressure of all their other work in founding an occult school, the clinic never came to fruition as first intended but a mass of material was gathered in the course of their little publicised healing work, which combined esoteric knowledge and practice with professional medical expertise. Most of this material has since been recovered from scattered files and reveals a fascinating approach to esoteric healing, taking into account the whole human being. Health problems are examined in terms of their physical, etheric, astral, mental or spiritual origination, along with principles of esoteric diagnosis based upon the structure of the Qabalistic Tree of Life. The function and malfunction of the psychic centres are described along with principles for their treatment by conventional or alternative therapeutic methods, with particular attention paid to the aura and the etheric double. Apart from its application to the healing arts, much of the material is of wider interest for it demonstrates techniques for general development of the psychic and intuitive faculties apart from their more specialised use in assisting diagnosis. The book is edited and arranged by Gareth Knight, a life long student of Dion Fortune and her work and author of her biography Dion Fortune and the Inner Light.